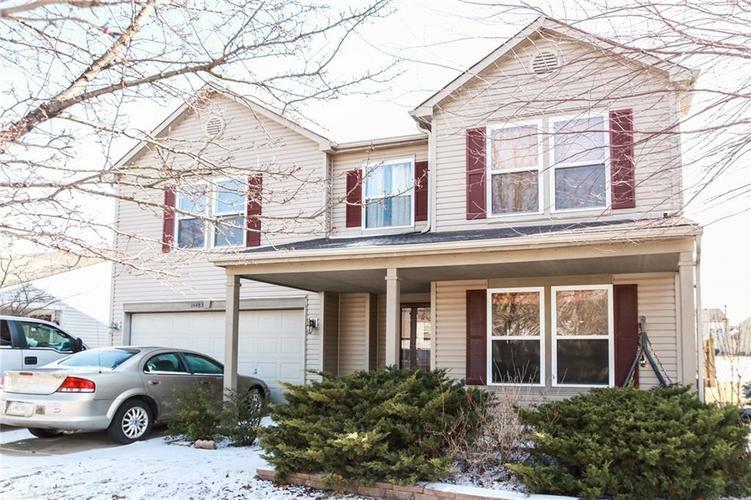 Welcome Home to this warm & spacious 4 bedroom home in popular Woodberry Subdivision. Walk into the large entry and you'll see gleaming hardwood floors that continue throughout the open-concept main floor. Kitchen, dining room, breakfast nook & family room flow together, allowing for great entertaining or family gatherings. Upstairs you'll find a loft & laundry room accompany the 4 large bedrooms. The master suite is an oasis: wainscoting, hardwood floors and an incredible bathroom with garden tub and a custom-tiled walk-in shower. The view of the pond from the master bedroom is matched only by the view you'll see from the fabulous back deck, surrounded by the fully fenced backyard. Homes in Woodberry sell quickly, so see it today! Directions:From HWY 37 North turn Right (East) on 146th Street East. Turn Right (South) on Cumberland Road. Turn Left (East) on Orange Blossom Trail. Turn Left onto Eucalptus, then immediate Left onto Lee Stewart Lane.